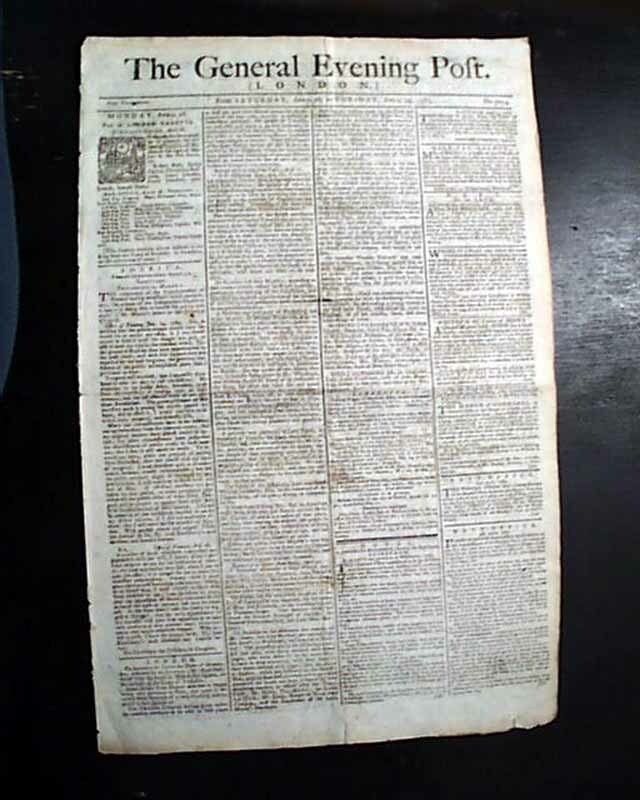 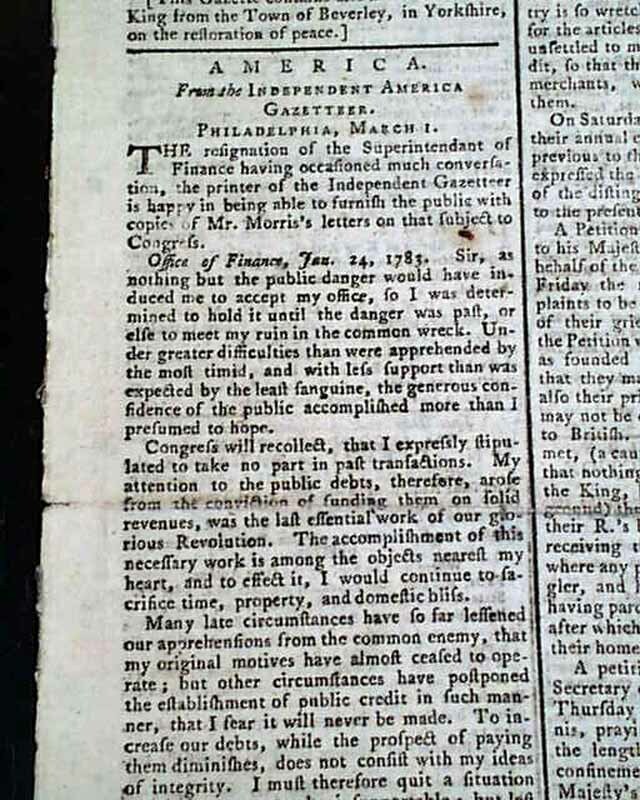 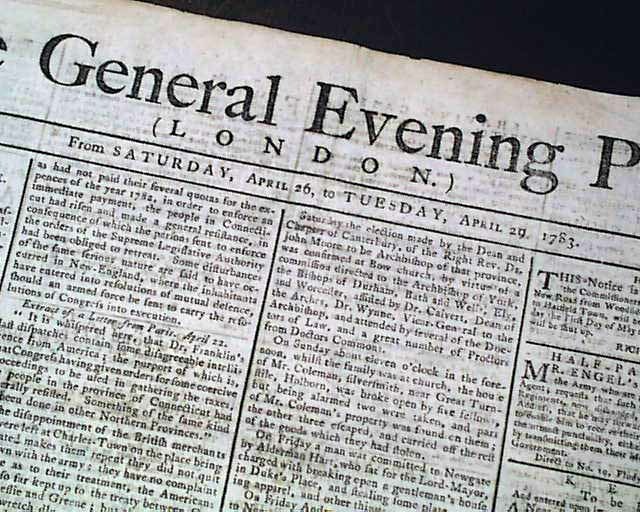 The front page has a nice report from "America" concerning the resignation of the famed patriot Robert Morris from the position of Superintendent of Finance for the fledgling federal government. 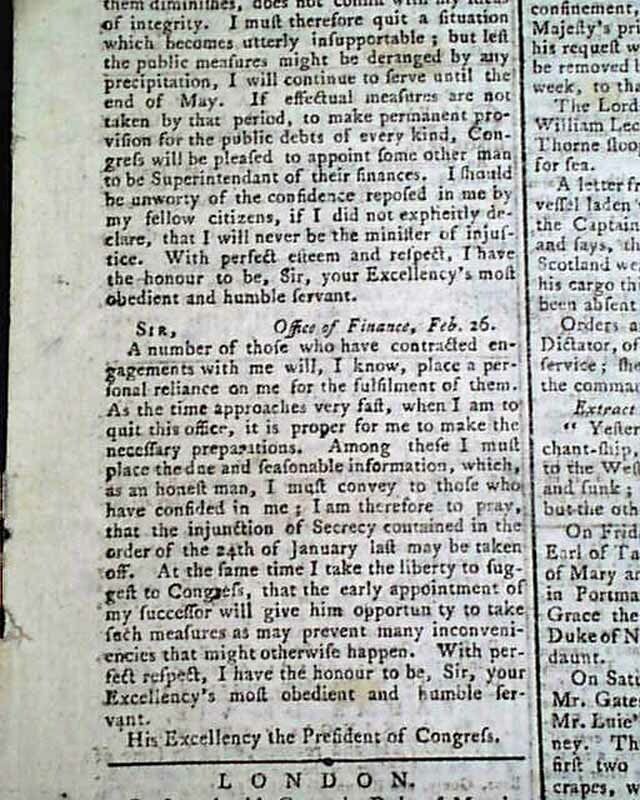 Included is a letter from him in which he says he will resign on May 1 (see). 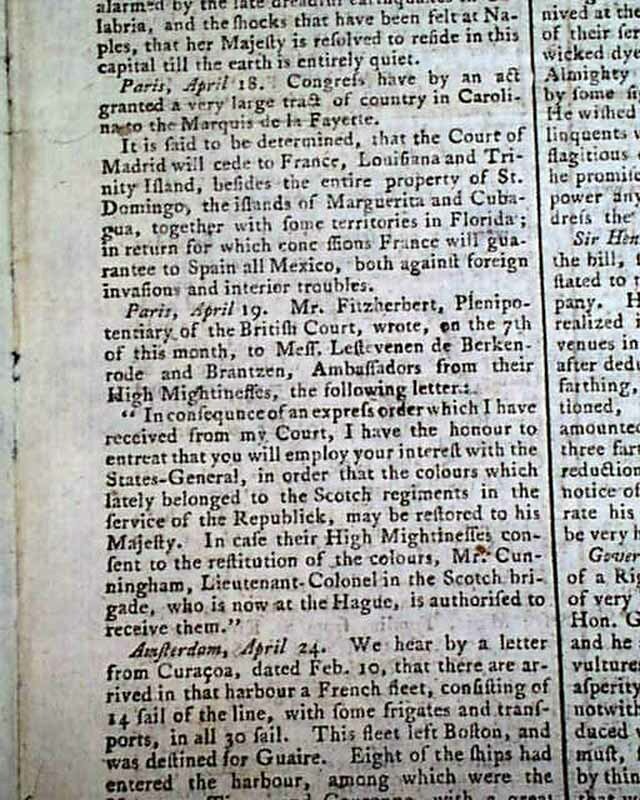 Page 3 mentions that Congress has granted: "...a very large tract of country in Carolina to the Marquis de la Fayette."